At the end of the sixth century anyone would have said that Augustine had found his niche in life. Looking at this respected prior of a monastery, almost anyone would have predicted he would spend his last days there, instructing, governing, and settling even further into this sedentary life. But Pope St. Gregory the Great had lived under Augustine's rule in that same monastery. When he decided it was time to send missionaries to Anglo-Saxon England, he didn't choose those with restless natures or the young looking for new worlds to conquer. He chose Augustine and thirty monks to make the unexpected, and dangerous, trip to England. King Ethelbert himself wasn't as sure, but he was a just king and curious. So he went to hear what the missionaries had to say after they landed in England. But he was just as afraid of them as they were of him! Fearful that they would use magic on them, he held the meeting in the open air. There he listened to what they had to say about Christianity. He did not convert then but was impressed enough to let them continue to preach -- as long as they didn't force anyone to convert. They didn't have to -- the king was baptized in 597. Unlike other kings who forced all subjects to be baptized as soon as they were converted, Ethelbert left religious a free choice. Nonetheless the following year many of his subjects were baptized. 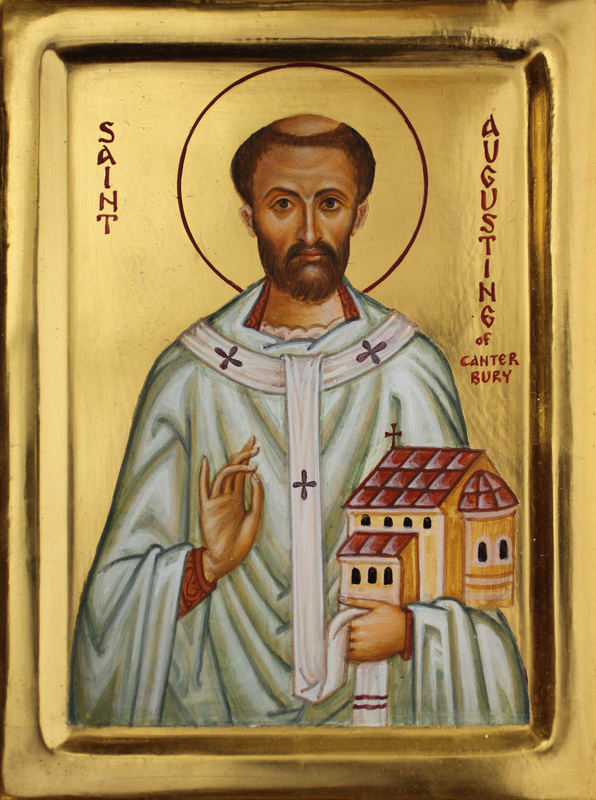 Augustine was consecrated bishop of the English and more missionaries arrived from Rome to help with the new task. Augustine had to be very careful because, although the English had embraced the new religion they still respected the old. Under the wise orders of Gregory the Great, Augustine aided the growth from the ancient traditions to the new life by consecrating pagan temples for Christian worship and turning pagan festivals into feast days of martyrs. Canterbury was built on the site of an ancient church. Augustine was more successful with the pagans than with the Christians. He found the ancient British Church, which had been driven into Cornwall and Wales, had strayed a little in its practices from Rome. He met with them several times to try to bring them back to the Roman Church but the old Church could not forgive their conquerors and chose isolation and bitterness over community and reconciliation. Augustine was only in England for eight years before he died in 605. His feast day is celebrated on May 26 in England and May 28 elsewhere. He is also known as Austin,a name that many locations have adopted.